Just wondering what causes montis to lose their color? I have a decent size Green Monti that has changed from green to an almost purple. Also the grafted Monti I got from you has gone from a red with green to almost an orange with no green. I'm running the Red Sea program and have everything setup to dose automatically with the APEX DOS pumps. Too high or low nutrients? Could you explain just a little bit? What light are you using? Alk is at 12.6dkh? That is pretty high and doesn't leave a lot of room for error. I think with lower nutrient system you'd want to keep alk a bit lower to keep from potentially burning up your sps. Itâ€™s not bleaching or browning. It has changed from a green to a purple color. It may just be "morphing" so to say. I think its just adjusting to the color spectrum of your lights. If you change lights or spectrum (with LED), it will likely shift colors again. 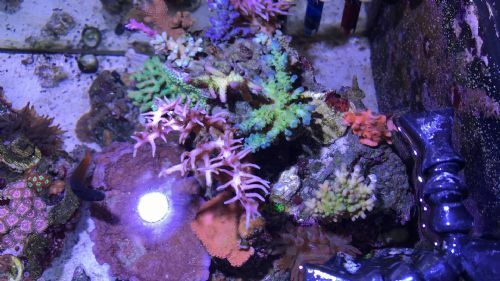 Nearly every coral I've kept over the years has changed colors in my tank (with only a few exceptions). This is especially true now because I am running my lights very blue, and this brings out colors that usually you won't see from a store or commercial grower. Too much light? Too much or too little and also different spectrum will/can cause color change. Too high or low nutrients? Could you explain just a little bit? Too high or too low nutrients will/can cause color change. 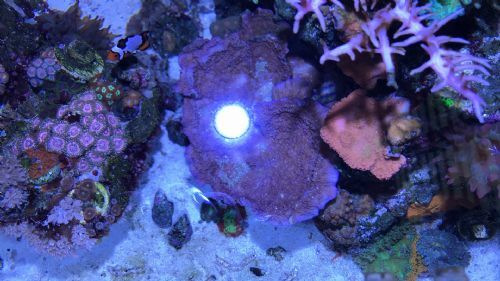 Spectrum, intensity, lighting cycle, as well as nutrient levels, either singularly or combine can/will change the color of coral. There is not one easy answer. 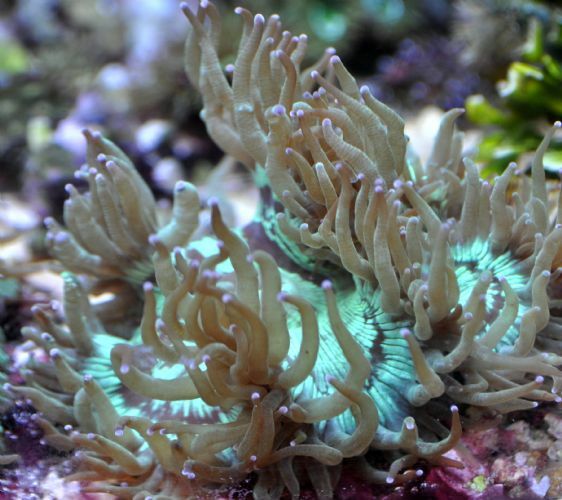 Assuming your tank is mature and stable, I would move the coral to either get higher or lower light and see how it reacts. I don't have nowhere enough info on your system, lighting, nutrients, coral history (where coral came from, how long in system) ect... but would guess spectrum and intensity.